Softengi, a global software engineering service provider, has been selected again for The 2018 Global Outsourcing 100® list by IAOP®. Our company received the award for the fourth time and thus proved once again our excellence and high professionality in providing information technology services for businesses worldwide. 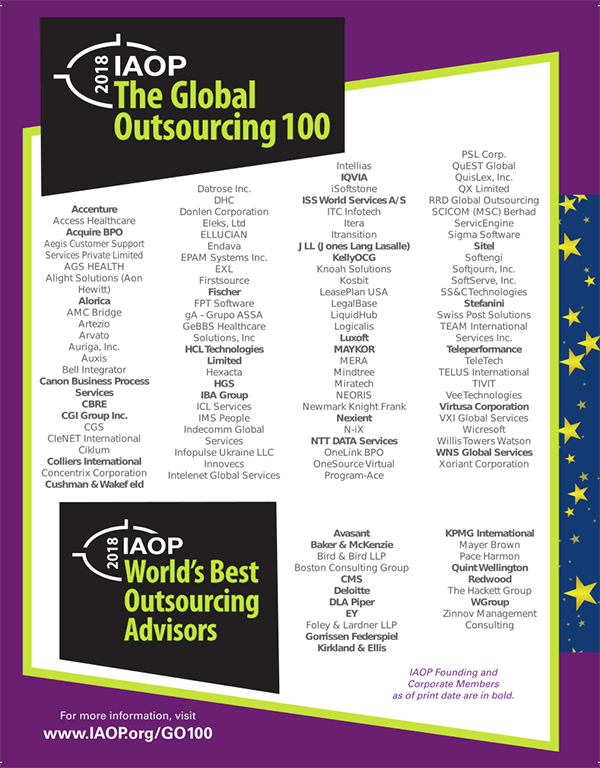 The Global Outsourcing 100® list is a reputable ranking, conducted annually by International Association of Outsourcing Professionals (IAOP). Such recognition relies on a thorough review of applications submitted by an ample number of companies from across the globe. Judging is performed by an independent panel of experienced industry-recognized leaders based on a rigorous methodology scoring in five categories: size and growth, customer references, delivery excellence, programs for innovation, and corporate social responsibility.